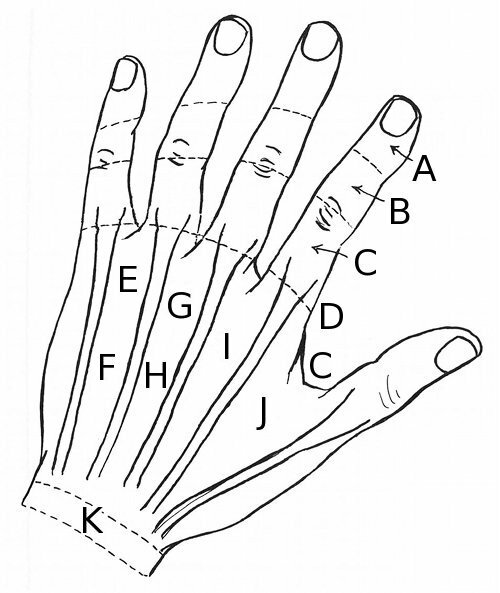 Left hand diagnostic areas of tenderness of motor and sympathetic circulatory energy flow. 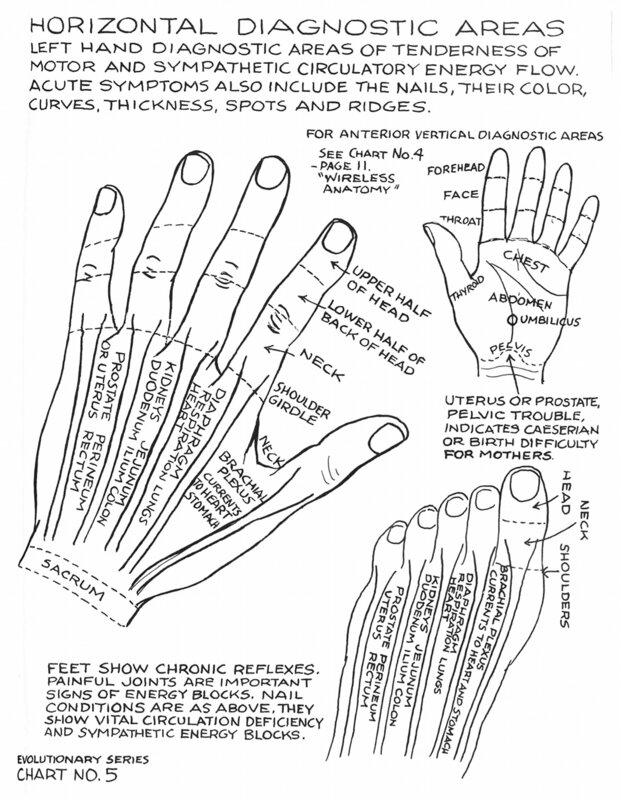 Acute symptoms also include the nails, their color, curves, thickness, spots and ridges. 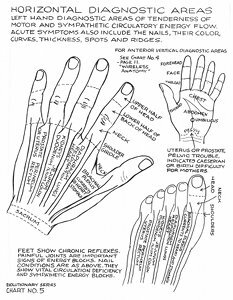 For anterior vertical diagnostic areas see Chart No. 4 - page 11. "Wireless Anatomy"
(I) Uterus or prostate, pelvic trouble, indicates Caeserian [Cesarean, Caesarian] or birth difficulty for mothers. 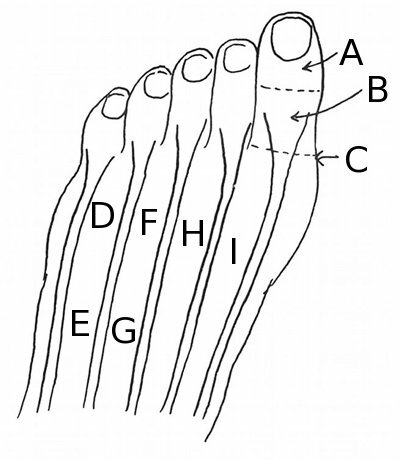 Feet show chronic reflexes. Painful joints are important signs of energy blocks. Nail conditions are as above. 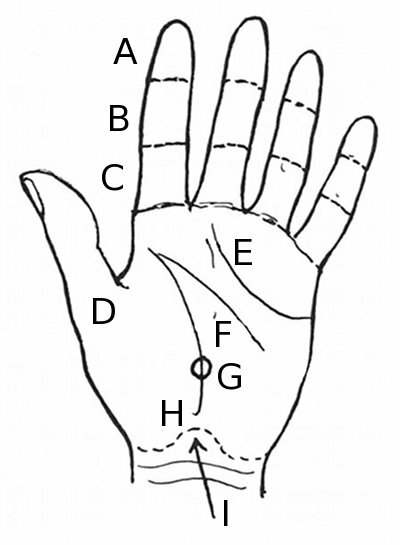 They show vital circulation deficiency and sympathetic energy blocks.